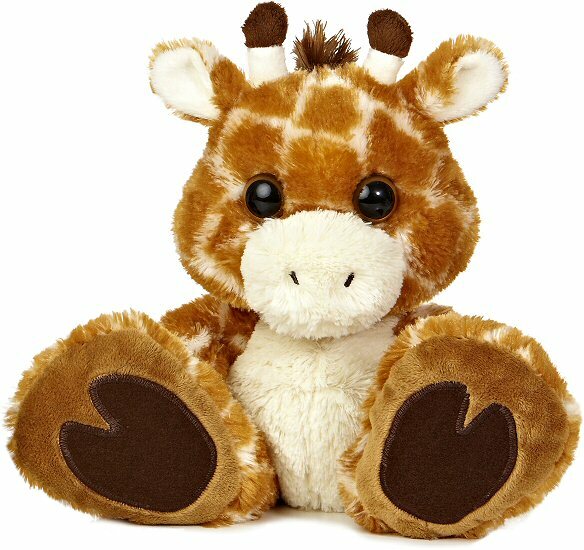 Meet Safari, this adorable giraffe stuffed animal from the cute and cuddly Taddle Toes collection. 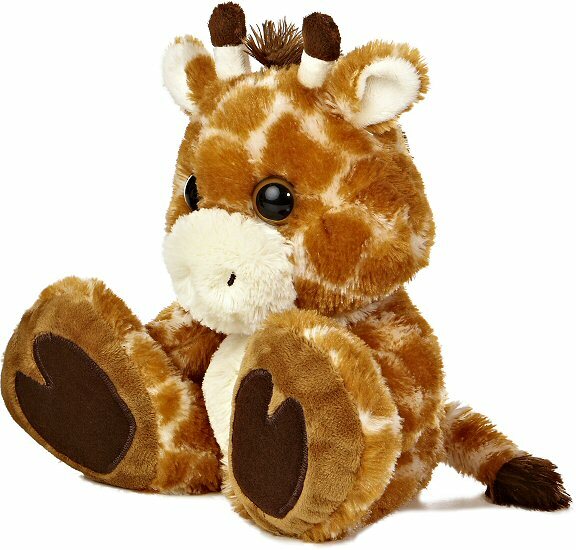 This plush giraffe has awesome oversized feet complete with dark brown "foot prints," a wonderfully huggable body, and warm golden-brown eyes. With soft orangy spotted fur, cream tummy, inner ears, and nose of the same soft fur, fluffy brown mane and tail, and fun horns, you'll love having this delightful stuffed giraffe by your side for all of your imaginative adventures. Fun Facts about Giraffes: While giraffes are known for their long legs and necks, did you know that even their tongues are long? Their 21 inch tongues help them snag leaves from high up branches.